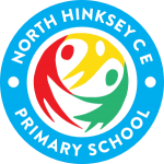 I am delighted to welcome you to North Hinksey CE School. We support all children to flourish and achieve through excellent learning opportunities and outstanding pastoral care. The Christian values of Faith, Hope and Love underpin our ethos, curriculum and relationships in school and we believe every child has the right to feel safe, happy and achieve to the very best of their ability. The school became an Academy on 1st October 2017, with the Diocese of Oxford as its sponsor, as part of the ODST multi-academy trust. This is a place where everybody supports each other in a calm and friendly manner. Staff work well together as a strong team and are provided with a range of well-being support and personal development opportunities. Relationships with families are important to us and we strive to provide excellent communication in an open, supportive environment. Come and find out about our ‘OTTER’ learners. Ask children what being a good learner means and how they know to improve their work. See our children playing happily together outside, taking part in exciting forest school sessions or learning together. You can find out about our School Council, OTTER House Parents or Sports Leaders and find out how they work across the year groups to ensure children’s voice is represented in school activities. To find out about the most recent events in school, visit the ‘News’ and ‘Newsletters’ areas, both of which are updated weekly. I look forward to meeting prospective families and am always happy to show visitors around school and answer any questions.